Book via phone or email us for a discount on the prices below! 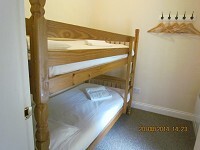 Age limit for children to use the bunk beds is 14 years old, a z-bed can be provided for a charge of £10 extra. 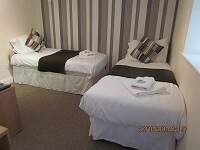 If you have a child over 14 years olds we can provide a z-bed for a charge of £20 extra. Book via phone or email us for a discount on the prices below! Please call and speak to a member of staff regarding pets prior to booking. 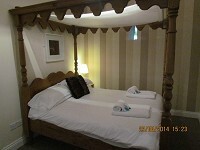 We do have double rooms large enough to fit an extra "z-bed" should you need one for an additional guest. 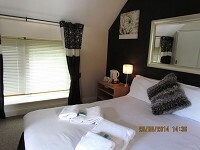 A charge of £10 if guest under 14 years old and £20 if over 14 years old.